On behalf of POINT 27, we would like to offer condolences for Deputy Ray Horn. Please know we are eternally grateful for Ray’s service and his ultimate sacrifice. 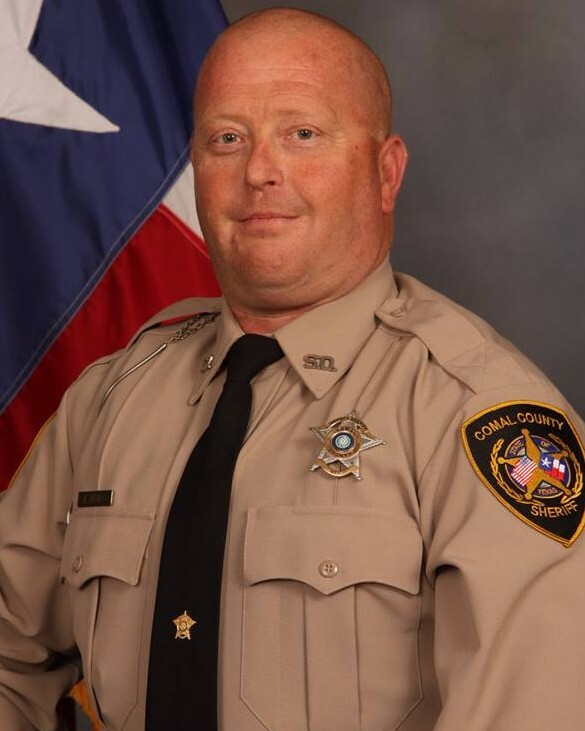 To honor Deputy Horn, POINT 27 sent 27 Thin Blue Line Dog Tag Necklaces, engraved with “Blessed are the Peacemakers for they will be called children of God” Matthew 5:9, to the Comal County, Texas Sheriff’s Department for Ray’s partner and fellow officers. POINT 27 sent Folded Flag Necklaces engraved with “Greater Love has no one than this; than to lay down one’s life for one’s friend” John 15:13 for Deputy Horn’s family. May God watch over the family and fellow officers who serve and protect us. We can only imagine their pain. But we can sympathize with them and we must support them. Running to the danger,when all others run away from it. Selfless and fearless to the end. They now work heavens Beat. And are in God's hands forever. Ever watching down on us all. Thanks for your service. Rest in Peace Deputy Horn. Thank you for your service. My thoughts and Prayers go out to your family, coworkers and friends. My sincere prayer is that the lord will strengthen your family during this very difficult time. My prayer is also that the lord will comfort the Comal County Sheriff's Office family. Rest in Peace Brother!!! RIP brother, we will take it from here. RIP brother. Thank you for your service. May God give strength to your family. We’ll take it from here. RIP Deputy Horn. May God comfort your family and friends through this difficult time. I want to express my deepest sympathies on behalf of my family and the rank & file of the NYC Health & Hospitals Corporation Police Department. My condolences and prayers go out to the family and work family of Sheriff Deputy Ray Horn. Till we meet again lil brother, RIH!!! I am so very sorry. Prayers for both Deputy Horn's family and Department during this time. Deputy Horn, thank you for your service. Thank you for your service my brother in BLUE. I never met you but we are family. I was blessed to lead the procession from the hospital to University. Seeing your brothers and sisters in the long procession is a reflection of the love they have for you and your family. All the talk there was how to best serve you and your family with honor through this difficult time. God bless you and your family my friend, my brother.! Rest easy Brother, Thank you for your service. You won’t be forgotten. Blessed are the peacemakers: For they shall be called the children of God.